Tonight, the Fox game show “Are You Smarter Than a 5th Grader?” debuts for a three-night run. But some reports in the game-show blogosphere are questioning the show’s auditioning and casting process further. Except for Jeff Foxworthy being cast as the host, almost every casting decision of this show is coming under scrutiny. It was previously reported on this blog and in BuzzerBlog that “attractive” contestants were specified in the Craigslist casting call ad for the show, making one think that contestants’ intelligence is secondary. Now, an Gordon Pepper interview with a potential “5th grader” contestant at GameShowNewsNet is alleging shenanigans during her audition process. The girl (name kept anonymous, presumably because she is auditioning for other roles) told Pepper that she was rejected because she was not a Screen Actors Guild card-carrying child actor, and that the child actors were paid to show up for trial runs of the show while she was not. GameShowNewsNet’s Jason Block wrote a piece Monday that lashes the show’s producers, Mark Burnett Productions (the producers of Survivor), for allowing this kind of selectivity, after talking to the mother of this anonymous contestant. The potential contestant’s mother (anonymous, for the same reasons as the daughter) alleges that producers monitoring the audition test did not care when her daughter complained that another test-taker (who is in the final on-air cast of “5th graders”) got help from his mother. Now, this bothers on me on many levels. 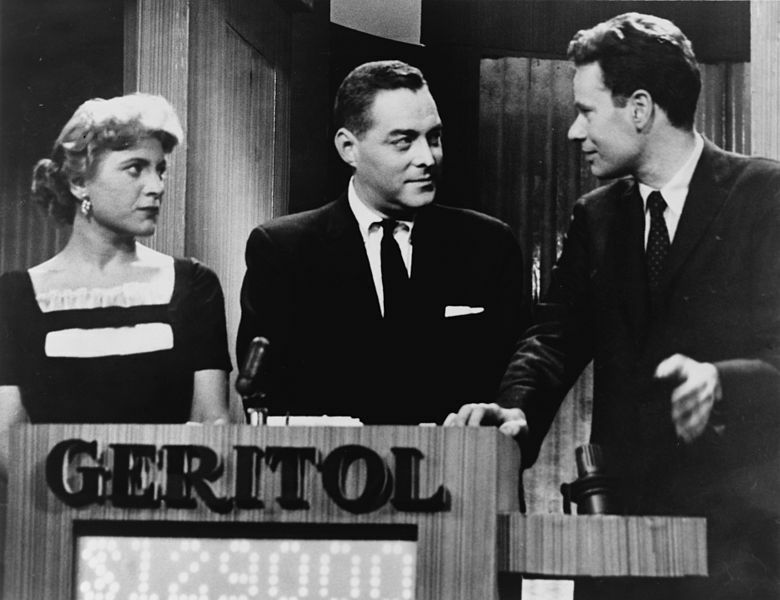 The Communications Act of 1960 was passed to prevent of the rigging of game shows. And what this is maybe not be rigging per se, but it smacks of casting for the sake of casting, rules and intelligence be damned. If what the parent has told me is true (and I trust this person wholeheartedly), then this is a black eye for Fox and Mark Burnett. This smells really bad. What does it say when a network such as Fox would ignore basic game show casting rules and just cast a kid (who is an actor) based on looks and the child not legitimately obtaining correct answers? What does it say for any casting director? Doesn’t it taint all the shows who do follow the rules? So, what do we make of all of this? First, it’s true that Mark Burnett’s shows have been criticized in the past for taking “beautiful” contestants over “normal”-looking people — just look at who is chosen for “Survivor.” At a portly 300 pounds, I’m very unlikely to get on the show, no matter how charming I am … but I’d have a heck of an advantage in the starvation-based challenges. But from the way the audition process sounded for this new show and the way the show is being marketed in the press, these kids are considered “cast members” and not “contestants” in the usual sense. Just watch the kids’ video clips on the FOX show site, and you can tell they are child actors, just by the way they gush about “working with Jeff Foxworthy” and how they “attend school” on set — a Screen Actors’ Guild requirement. Block is right about the 1960 law that was implemented to try to prevent game-show fraud (see Wikipedia’s entry on Twenty One and Charles Van Doren for more info). But it doesn’t apply here. In this case, with the children being treated as cast-member actors and not “contestants”, this law would not apply for anyone but the adult contestant vying for the top prize of $500,000, as long as the actors are not receiving any help or answers during the game. However, if they are receiving help from producers during the taping of the show, it has to be revealed in the game show’s rules, credits and to the adult contestants ahead of time. Hollywood Squares did this “scripting,” where celebrity panelists were given the correct answer to questions along with various bluff answers by show writers to throw the contestants off. What? You thought Whoopi Goldberg came up with those witty one-liners herself? In the end, this reminds me of the Comedy Central game show “Beat the Geeks“, where contestants faced producer-chosen “experts” in various categories. I’m sure the experts auditioned for the role of “geek” in a similar way that the “5th graders” did for this current FOX show. I can understand why the auditioning child and parent are upset in this matter. If they were led to believe that the audition was a legitimate contestant-selection process instead of a casting call, that’s a concern. I agree that the family should have been told upfront that only SAG-carded actors would be chosen for the panel. That would have saved time and effort on the daughter’s part. That’s an oversight that should be apologized for by the producers. But in the same manner, the show needs to stop calling/referring to the “5th Graders” in the cast as ordinary kids, because they are giving the impression to the public that they pulled these kids right out of class out of an everyday school. Maybe it’s just a misspeak by the host, but that remark would make me think that the kids were tested and chosen based on their intelligence. That would contradict the mother’s account of the audition. If this show makes it past its four-week debut run, the producers need to address this confusion before more episodes are recorded. Just come out and say the kids are “actors” and were chosen for their screen presence. We’ll understand. It’s not American Idol, after all. If it’s canceled after this week, oh well…no need. Write it off as child’s play. [UPDATE: Well, it’s official! America loves watching the stupid! I thought it odd that all of the kids got “Andrew Johnson” question correct. Now maybe all of them are up on their 19th-Century presidents…but I think the more likely explanation is that the kids read up on this sometime shortly before the show taped (Hours?, Days? Who knows?). There are very few groups of 5 people, even among adults, who would all get this question correct. The function of the kids on this show basically comes down to being able to remember stuff they were given to study by the producers, and to regurgitate this information during the show taping. When the adult contestant uses one of the “lifeline” options, the chance that they will be saved approaches 100%, since the kids look like they all can manage this function pretty well. As we saw on the show tonight, contestants can be automatically “Saved” by the kid having a right answer. On “Hollywood Squares”, the contestant had the right to agree or disagree with the “star”, but on this show the contestant only has this option for the “Peek” lifeline. For the other two lifelines (“Copy” and “Save”) they have to use the kid’s answer, which has been fed to them by the producers, which can make the difference between going home with nothing or going home with thousands of dollars. If the kids are fed the material and the correct answer is automatically credited to the contestant, then in my mind, the producers are giving the contestant, albiet indirectly, the answers. Perhaps by including the disclaimer, the producers are legally safe, but that does not make what they are doing right. I experienced deception in the auditioning process on several levels and a disregard for cheating that I personally observed. I view the workbooks that the kids are given as a sly way for the producers to feed correct answers to the adult contestants. You said in your posting, “…this law would not apply for anyone but the adult contestant vying for the top prize of $500,000, [sic] as long as the actors are not receiving any help or answers during the game.” If the criterion is that you can’t get any help DURING the game, then what occurred with Charles van Doren getting the answers BEFORE his shows would not be illegal either. Obviously, this is my opinion…your mileage may vary. But at least on JEOPARDY! and WWTBAM there are no such shenanigans, and contestants are rewarded for actual skill. I agree that it’s not “right”, but it’s “legal.” There’s a lot of things wrong with the way casting is done in Hollywood. With the kids not being in a money-winning position (they do not profit personally one way or another from the game’s result), I don’t think it matter if they are given the answers or not in advance — directly or indirectly. Also, if the kids are given learning materials (which could contain a thousand possible questions…we have no idea how many) with the potential answers in them, and told to study it just in case something in those materials is used as a question, that is not the same as the Twenty-One scandal, in which Van Doren was given the actual word-for-word answers (and the way he was supposed to react, wipe his brow, etc.) directly from the producer. Contestants are relying on the child’s memory of the materials, which does offer some hope that they will get it wrong … that doesn’t guarantee a correct answer all the time, unlike in the Twenty-One scandal. It’s a game show. We watch it. It’s for entertainment. Who wants to look at ugly children? I wouldn’t be entertained by that. Why does it matter if a game show is “rigged” in the first place? If you enjoy it, should it really matter? These shows are getting more boring and irrelevant by the day…..
Iwant, come on… we all weren’t beautiful in 5th grade. Heck, I had freakish hair that wanted to stand up all the time, and would not lay down. I had an “alfalfa-style” cowlick until 8th grade, despite every effort not to. And I do really enjoy this show. Tonight, we get a full hour of it. I watched the first night only and could swear that I saw small “hearing aid-like” ear pieces in the kids ears. I wonder if they are actually being fed the answers during the show? In my opinion, the show is a little forced and unnatural feeling. I wouldn’t at all be surprised if the ‘class’ gets to freshen up on all the key facts before the show, but oh well. The points brought up concerning the kids being fed answers, etc. are certainly valid. Whether they are illegal can be debated, but one comment made is certainly true: it IS fun to watch. Yes, it would be more exciting as an adult watching the show to see the kids actually display their real knowledge, or lack thereof. It does take away from the fun a little knowing that in almost every case every kid is going to get the answers correct. Jeff Foxworthy has said he wears an ear-piece, so it’s interesting to find out if the kids do. It was brought up that they have workbooks with potential questions in them. I’m betting that questions that would come up in the last rounds (worth 500,000 or 1 million) would be questions the kids have no prior knowledge about. That would decrease the likelihood of a contestant successfully using a lifeline, and therefore less likely to get the question right and win the money. We’ll never know, though. As an actual fifth grade teacher, I can tell you that the ones who enjoy watching the show the most are kids. They don’t analyze and dissect the validity of contestants and other show elements as adults do. They see the show strictly for its entertainment value. They enjoy two aspects of the show: seeing what they themselves can answer, especially when the question is something we’ve covered in class; and seeing adults get questions wrong that they themselves know. As with other game shows in the past, there willl be many teachers out there who will play their own version of the show in class as a way to review a chapter for a test, etc. This all brings up one question, though. What is the target audience of this game show? Adults or kids? If it’s aimed at kids, or both, then why is it broadcast from 9-10 pm (and actually 9:30 its first night). If they want it to be a “family” show, then put it on at a respectable hour. Maybe the “fifth graders” on the show who are home-schooled on the set can stay up as late as they’d like, but kids who watch the show actually have to get up the next morning to go to school and shouldn’t be watching late-night TV, and in a round-about way, encouraged to do so. This show had a lot of potential to be entertaining,but it seems like they have lost a lot of it by using these cocky children who are clearly actors and actresses trying to show off for the camera to get their big break. When I saw that Jeff Foxworthy would be hosting I thought there was no way this show would be bad… but I was wrong… I can’t think of a single funny thing he has said as of yet. And the 5th grader saying she would donate the money to charity and buy her mom a car? As if that was not scripted???? What a joke!!! Mark Burnett had a good idea but he definitely bombed it. How mdo you audition for the show, I really would like to try! I think you’d have to contact Mark Burnett Productions, or keep an eye on the L.A. area Craigslist ads for auditions. I’m not too concerned about the kids being “prepped” for he show, my main concern is just uneducated the contestants are. There were some obvious answers that these “adults” could not get. Are you smarter than a fifth grader?….. I think Fox makes sure their contestants aren’t. The fifth grader named Jacob is an actor. Why are we picking the show to death. It’s a tv show….if you don’t like it don’t watch it! Also, who cares if the children are being prepped for the show, to me it seems that the adults should be prepped for the show. I am atonished at how many questions they can’t answer. However, as a teacher, I am discovering that students are learning more and more in the lower grades. I am teaching my students things that I did not learn until high school or even college. So…maybe these adults don’t remember these things because maybe these adults never learned these things…..it is for pure entertainment watch it or leave…stop complaining about it. I recognized three of the kids immediately when watching the first episode…unfortunately, it was way obvious they are actors. Actually, they are all fairly respectful with the exception of Alana. I can’t believe they haven’t been able to tone her down a little….her fake laughing at the oddest times, rolling her eyes at the contestants. I can’t imagine how horrible it is for the other kids to work with her! That’s the business I guess, but if she is an actress, she needs to deliver. There is only one Black child (who is hardly ever called on…perhaps the contestants don’t think that a black girl could possibly be as smart as the white children) on the show and everyone else is White, I assume. What about mixing it up a little by putting a Latino and Asian (why choose) classmate on the student panel? I am certain that there are thousands of kids watching this show who would love to see their ethnic background represented…or are we being told that “minority” students simply aren’t as smart as white students? I’m with you, the contestants are actors. I just saw the episode with the blond chick and she knows which continent Panda are from, but doesn’t know which continent is a country? Holy balls all you people. Maybe we should have a cast of about ten thousand on the show every night filling up the stage with one, black, one asian, one mexican, one fat, one skinny, one jewish, one christian kid, ect… If you haven’t figured out that reality shows are based on what’s going to pull people in to watch and not on fairness, you are a complete moron. I would just love to turn to the program every week knowing that the contestant wins the top prize, so much anticipation. Chris, I just saw that ep. (with the blond) and had to search for some blogs about it. Her entire “performance” showed clearly that she was acting. AND that she was following the producers direction. The kids didn’t need to be in on it because they were coached enough to know that they could be counted on to have the right answers twice. With the blonds acting and the kids guaranteed 2 saves the producers found it was time the show progressed to it’s furthest point yet, but, without being “beat”, thanks to the obvious tanking before she dropped out. Talk about a useless waste of time reading everyone’s comments here. I see absolutely NO controversy at all with this show. To try to find something to complain about is truly childish folks, grow up. Maybe take up a hobby instead of watching so much TV. Really, I’m serious. The kids – actors or not is irrelevant. They are more or less props for the show. Some of you, unbelievably are offended that the kids are a way of giving the answer to the contestant. If the show wants to give away more money, that’s their prerogative. Bottom line: It’s a game show that is entertaining to watch and to see how we all have forgotton stuff as we grew up. There is nothing at all to complain about, there are no conspiracies, no laws broken, no morals broken, no cheaters, nothing. This show is total garbage. The fact that the kids are actors is relevant because it changes the outcome of the game. That is meant to sway the viewers into longer games that are more entertaining. That is a lie. Normal 5th graders would not get these many questions right. According to BRAD, ethics don’t matter as long as you are earning a buck. I think the concept of the show is cute. However, the deception with this show that I have a problem with is that the kids on the show are portrayed as kids who really know their stuff, when in fact, they just read up on the topics just hours before the show. I don’t have a problem with the kids feeding answers to the contestants. That’s part of the fun of the show — to show an adult who is so “dumb” they have to get the answer from a kid. None of that is true, of course. The questions being asked are trivia questions, stuff most of us don’t use. If you don’t use it, you lose it. The producers know that and, therein, lies the gimmick. The fact is that you could bring the most brilliant scholars in America on the show and stump them with some of this. Why? Because even the most brilliant scholars focus on the data most relevant to their fields. So, start asking them questions unrelated to their fields — at any level (even the fifth grade) and they’ll stumble from time to time. That’s why it’s called trivia. Any knowledge that you don’t use is trivia to you. I remember a while back, me and a couple of friends were playing “name the state capitol” and it was stunning how often we missed. This was something, in a geography test, eons ago, that I scored a perfect 100 on. That’s why the show works. The kids recently studied the materials and the adults recently juggled their credit card payments to barely get the check in on time. I just watched the vids about the kids talking about their school things and when they were asked of what they want to be when they grow up they both (Jacob and Alana) said they wanted to be actors when they grow up so I thought that was pretty suspicious. Oh Dave, ethics? Come on, what ethics? A game show can do whatever it wants to help a contestant out. Ethics would only be a consideration if the kids were actually competing AGAINST the contestant. That is not the case. The kids are there just for fun and to help out the contestant. The kids don’t take a dime of any winnings. They are staff for the show. They’re props, they are there to help out the contestant as well as to embarrass them at the same time. It’s done for entertainment purposes. what were you thinking???????????????????????????????????????????????????????????? ?you you you fools but youre show is funny!!!!!!!!!!!!!!!!!!!!!!!!!!!!!!!!!!!!!!!!!!!!!!! i want to be on this show so badly it is the BEST!!!!!!!!! How do you get to be on the show. I really think I can keep up with the 5th graders! I was there one time. wow im a freshman in high school and i dont complain nearly as much as all of you. everyone is like ‘oh no they are actors!’ but seriously, if the kids werent actors, they could just get up there and totally freeze up, knowing they are being watched by millions of people…not many kids who are not actors could handle that kind of pressure. the show was making sure it would be successful. for all you who are complaining about this i have one word… DEAL! Just because the show is entertaining to you does not make it less of a fraud. What kind of argument is that? We’re not supposed to know that the children are given the questions ahead of time, but because it’s so entertaining, it shouldn’t matter? This is absurd. This show is a total scam passing as a game show. How many baby teeth does the average person have? You pretend that every fifth grader knows this, and that most adults should know this? Get real!! The kids might be actors. So what? And if they read up on the material before hand so they can deliver on the show, I’m happy for them. The show is funny not because the kids get the answers right, its funny because the adults get the answers wrong. And even if they do select the adults just because they won’t get the answers right, those adults are still real people. They represent a large percentage of america’s population. So maybe the show is biased, and the kids might know the answers, but it gives you a look into the less bright side of america, and that, at least to me is pretty funny. so register your kid with SAg. trust me, you wouldnt watch if the ‘average’ kid was on tv. the average person cannot even hold a conversation. the kids ARE NOT contestants. they are an aspect OF the show; just as the ask the audience feature on who wants 2b a millionaire, ..
My kids enjoy the show and on more than once occasion I’ve seen earpieces in the kid’s ears. I don’t know if they’re given answers but I am positive their given “comments” to make at times. On the most recent show, Laura responded to the contestant “are you flirting with me?”. She’s what, 11 or 12 years old ?? I thought the gentleman from South Carolina who appeared on the April 26th show was not “nice” to the female student “Alana”. He acknowledged all of the other students with “respect” and “appreciation” but did not attempt to do the same for “Alana”. Hmmmmm. I wonder why?? I agree that the adult contestants are actors, and if not, then it really isn’t fair how these contestants are selected. I think it is pretty safe to assume that those who do well on “Millionaire” and “Jeopardy” could easily win the million on “5th Grader”. gay… that’s all i can say. If the selection process for contestants is random and fair, then I wonder why those smart “Trivia Show Geniuses” never end up on the show. The people who do are more stupid than the average American. It is not fair that the contestants on the show do not reflect the intelligence of the average American. The average American knows the colors and can do simple math. This is a tv show. Like it or not, this show was not put out there to educate people. It was put out there to make money. They will do whatever it to boost ratings. Why does it truly matter if the children were given material to memorize? Teacher’s give students material to memorize all the time. Even if the kids are given awers- it still wouldn’t not change anything. It is still the adult that has to come up with the final answer. They decide which lifelines to use. Yes, only hiring pretty kids is wrong. Still none have looks to die for. One kid is even cubby with classes. Nothing is wrong that. As for as diversity goes. It’s show biz. You never see handicap actress or actors. Not all handicap people struggle mentally. Just as you would rarely see a morbidly big person playing a rich women. It’s not right. That’s the way it is. I heard from someone that the kids were actors and knew what to do before-hand! I don’t have a problem with the Kids as actors. They’re only there as a gimmick to push the theme of the show. My problem is that the constestants are fake. I had doubts until the one from Yale showed up. His acting was absolutely horrible – his reactions were obviously staged. On the $300,000 question, he buzzed in an answer without a cheat and then acted as if he wasn’t sure of his answer. As if someone would risk that much money over something that wasn’t a sure thing. Additionally, on the “Common Sense” question, I heard an audience member clearly shout out “Thomas Paine”, and there were no ramifications whatsoever. The show lost all “entertainment” value for me when it was proven to merely be actors PRETENDING to be dumber than 5th graders. I’m so glad this stayed on the air over something horrible like DRIVE (insert sarcastic expression). Can I please join or go to the try outs for this game because I am in the 5th grade and I am very smart please email me bak thank you. I watched this show once. One night a Yale grad, male, who happened to be very attractive was a contestant. I remember thinking they not only picked a smart Yale grad but an attrative man to boot. The next contestant was a woman with a very nice figure in tight clothing including skin tight designer jeans. They did many shots from behind. I found that odd. First, that a woman appearing on national television would not find something more fancy to wear than skin tight jeans and a tight top, both casual wear if you ask me, but also, the constant shots including her buttocks– I don’t recall shots showing the back of the contestants from any game show, including “Millionaire”. That woman didn’t have much knowledge and I wondered how they do the casting, even for “Wheel of Fortune” they have audition stages and the people have to actually have some clue and ability to play. Lastly though, one contestant was an older man, way over 50, and not attractive. The Richter scale measures the magnitude of earthquakes, and the Mercalli scale measures their intensity.-Encyclopædia Britannica, Inc. The Mercalli scale measures the intensity, not the Richter scale. Just thought I would tell you. How can I get a chance on the show?? I tried out for the college version of Jeopardy! several years ago. Out of a ballroom full of people, a handful of us passed the test. Then, we played a mock version of the game. One of the guys there was a supernerd from a well regarded private university in the south. They guy was a spaz and surprise – didn’t make it on the show. But, the only two females in our group made it on and the only African-American made it on. TV is all about image, and the producers of Jeopardy! obviously wanted a diverse group. Most of us were seniors, so underclassmen had a better chance of making it on the show. Unfortunately for me, I was in all the overrepresented categories: Caucasian, male, senior (plus the African-American guy was from my university and they certainly didn’t want two of us on the show). It’s a free market and the producers can put anyone they want on the show. a Valerie Ramirez (valram96@gmail.com) claiming to be a casting producer for the show emailed me via the webmaster address at a large University and asked for a list of Sorority email addresses to contact to be contestants. Seeing as how I respect the privacy of our students, I declined. However if any Sorority members out there (or anyone else for all I care) wish to audition, feel free to send Valerie an email. Early Childhood Education » Blog Archive » Are you smarter than a Kindergarten student?